The only way to be sure of the quality of fruit and vegetables is to grow it personally and allotments provide a perfect opportunity for producing organically-grown fresh fruit, vegetables and flowers. 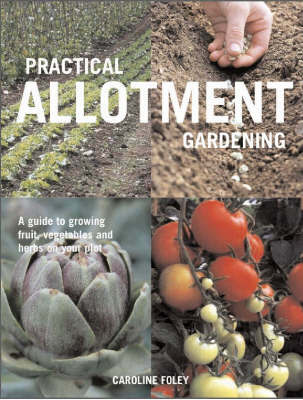 The increasing popularity of allotments is testament to a growing consumer awareness of how chemically enhanced produce in our diet adversely affects our health and well-being.This book is full of practical information and tips on all aspects of allotment gardening. Beginning with the basics, the book gives advice on planning and laying out a new plot, improving the soil and sowing from seed. A comprehensive directory of vegetables, herbs and fruit gives invaluable information on which varieties to plant and their cultivation, while a chapter on pests and diseases gives advice on protecting plants without using chemicals.Interspersed throughout are practical projects and tips for the allotment gardener. With stunning photographs featuring some of the best-kept plots, this is the perfect companion for every existing or prospective allotment owner.